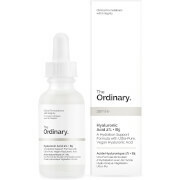 This professional-strength time-released concentrate can be mixed into your favorite products to enhance their benefits, or used alone to visibly optimize skin’s healthy appearance for a refreshed, youthful, radiant complexion. This radiance boosting microdroplet formula introduces a unique complex of three acids — Pyruvic, Tartaric, and Linoleic — to reveal resurfaced, firmed, and luminous skin. Apply directly to face, neck, and décolleté. 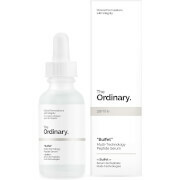 Also use as a booster by mixing a few drops into your serum, foundation, or to the second step of your Alpha Beta® Peel. For daily AM &/or PM use. Yucca Glauca Root Extract, Glycerin, Caprylic/Capric Triglyceride, Polyacrylamide, Hydrolyzed Collagen, Centella Asiatica Extract, Quercetin Caprylate, Pyruvic Acid, Tartaric Acid, Linoleic Acid, Bisabolol, Resveratrol, Cucumis Sativus (Cucumber) Fruit Extract, Citrullus Lanatus (Watermelon) Fruit Extract, Retinol, Salicylic Acid, Silica Dimethyl Silylate, Camellia Sinensis Leaf Extract, Ellagic Acid, Tocopheryl Acetate, Ceramide 2, Symphytum Officinale Extract, Chamomilla Recutita (Matricaria) Flower Extract, Glycine Soja (Soybean) Extract, Hydrolyzed Soy Protein, Potassium Azeloyl Diglycinate, Saccharide Isomerate, Salix Alba (Willow) Bark Extract, Sodium Hyaluronate, Ferulic Acid, Gallic Acid, Argania Spinosa Kernel Oil, Glycolic Acid, Lactic Acid, Commiphora Myrrha Oil, Copper PCA, Sodium PCA, Mandelic Acid, Tetrapeptide-21, Hamamelis Virginiana (Witch Hazel) Extract, Glyceryl Oleate, Acrylates/Carbamate Copolymer, Butylene Glycol, C13-14 Isoparaffin, Zinc PCA, Urea, Laureth-7, Polysorbate 20, Disodium EDTA, Phytic Acid, Octoxynol-9, Phenoxyethanol, Fragrance (Parfum). Immediate results! Within less than two weeks, my sensitive combo acne prone skin is noticeably smoother and more even in texture and clarity. I hardly feel the need to wear foundation anymore. I spread two droplets over whole face as a serum in both my morning and night routines. 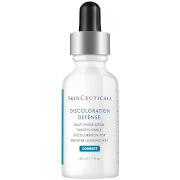 Using this in conduction with argan oil as a moisturizer, has diminished any occurrence of breakouts. (fingers crossed) I have never experienced such noticeably dramatic results from a skincare product-- it has truly improved and changed the condition of my skin, making it bright and smooth. Take advantage of the 20% off sales and stock up!